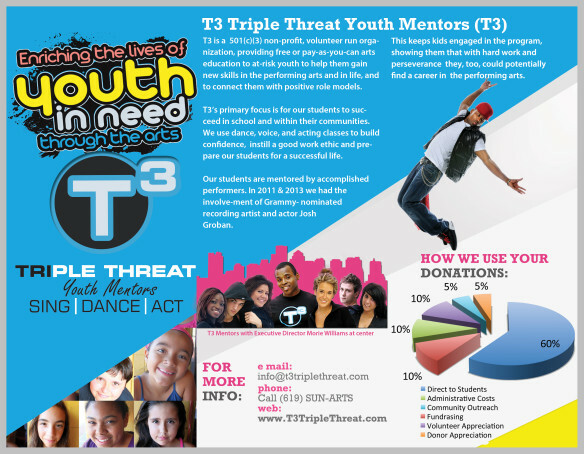 This is a brochure I designed for the non-profit T3 Triple Youth Mentors. I used the blank Photoshop template they supplied, but that definitely belies the difficulty of working in this angular style. The colors and large typefaces were definitely fun, as well as placing and working around the dancers. 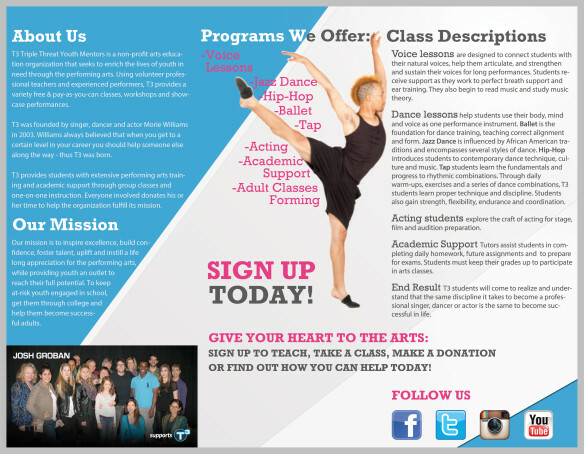 I also designed T3 Triple Threat’s website.